XPS 13 to come with Windows 10: has Dell’s T3 Awards 2015 nominee just earned your vote? The XPS 13's virtually borderless Infinity display gave us a glimpse into the future and earned it a spot on the T3 Awards 2015 shortlist. You can now pre-order Dell's laptop with the operating system of tomorrow - Windows 10- which launches on July 29. According to Dell's website it's currently only available on the entry-level Full HD, non-touch version, which comes with an Intel Core i5 processor, 8GB of memory and a 256GB SSD for £949. It's listed with an estimated 8 - 10 day dispatch time, which aligns with Dell's statement that buyers will get their Windows 10-equipped machines “a few days” after Windows 10 launches. T3 has contacted Dell to find out when the QHD+ version of the XPS 13 will get the Windows 10 treatment. In the meantime, why not vote for the XPS 13 in the T3 Awards 2015? Simply give that link a click and head over to the Laptop or Tablet of the Year category - you could win one of five Acer Chromebooks for your trouble. Now why not check out 6 best Windows 10 laptops, tablets and 2-in-1s: which one is right for you? 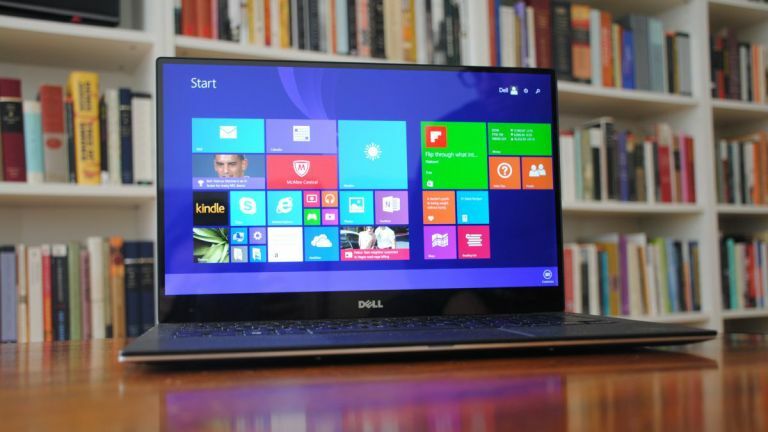 Get the Dell XPS 13 - our favourite laptop - with a 12 per cent discount!